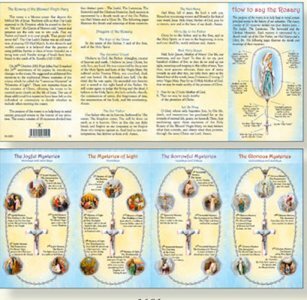 DIRECT FROM LOURDES - How to Say the Rosary Laminated Concertina Leaflet. How to Say the Rosary Laminated Concertina Leaflet. How to Say the rosary concertina paper leaflet.